Stress at work or challenges after setting up a company are issues every corporate employee or entrepreneur must contend with. One way to deal with this is to find a mentor to guide you. We spoke to two women who are mentoring people in different ways—face-to-face and online. “If there is one thing you need as an entrepreneur, it is a mentor. 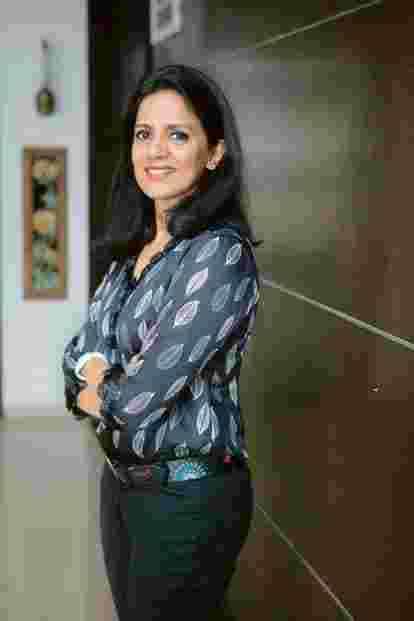 A mentor has gone through a similar, or even the same situation, and has tried and tested various methods to solve a challenge," says Deepti Atul Goswami, director, Dealsflow Ventures, a business consulting firm she co-founded in 2009. “In 2013, I started mentoring people and working with business owners from a varied background on a regular basis," she says. While Goswami’s approach involves meeting someone every week, Vishakha Singh has a different perspective. The founder of e-commerce company Red Polka believes that a one-on-one connection is not always necessary. “Advice, even if it comes from someone you don’t personally connect with, can be helpful." She believes that people often blame luck when things do not go well at work. So, she created a work-mentorship blog, “My Dear Luck", through which she answers queries posted by people on work challenges they face. “I have had people describe issues that are personal, yet work-related. These issues seem small in the overall scheme of things, but are important to that person. It keeps adding to the pool of negative feelings, which is not good," says Singh, adding that, sometimes, a little hand-holding can help ease the pressure. Mentees don’t always know what they have to work on, which makes the role of people like Singh and Goswami all the more important. Goswami says she is strict about who she agrees to take on as a mentee. “They need to be more than just their ideas. They need to have the will to survive, even if that means changing something about their working style." While interacting with entrepreneurs, Goswami realized that some of them were not doing well despite having “good business skills", because they were lacking in marketing knowledge or presentation skills. It gets tricky if the mentees are not ready to accept the feedback and work on the areas they need to. “But fortunately, and maybe because we are established in our business, they accept it—even if it is with a pinch of salt. If their ego or childish behaviour is coming in the way of a successful business deal, I have to tell them to take a step back," says Goswami. Singh, on the other hand, conducted an informal survey among people with 2-18 years of work experience and found that almost 75% of them had interpersonal issues at work. So she decided to keep the focus of her blog on three key areas —interpersonal issues, self-help, and office culture. Problems like someone getting into nasty fights at work or someone stealing ideas before meetings etc. are clubbed under interpersonal issues. Self-help involves helping employees working on traits they have to improve, while culture-related issues are specific to an office or industry. “While the first two are self-explanatory, we often do not realize that the office subculture can make people feel less important," says Singh. Goswami’s one-on-one sessions are usually held once a week. Their frequency can vary according to the stage of the entrepreneur’s business. But she adds that meeting face-to-face is vital, at least for the initial stage. “This builds the foundation of the relationship between the mentor and mentee. Meeting the mentor in person pushes them to follow through with whatever they have been advised to do," explains Goswami. For example, Amit Gupta, one of Goswami’s mentees and the founder of specialized recruitment firm Landmark Advantage Placement Consultant, believes that the most challenging part at the beginning was “unlearning". Initially hiring for the BPO segment, Gupta soon realized that he wanted to focus more on select clients from small and medium enterprises. He knew what he had to do but didn’t feel confident enough to take the next step. “It was a personality flaw. I would accept all the business that came my way. When I started speaking to Deepti, I found why it was difficult to refuse some of these clients and how to be more selective of the businesses I wanted to engage with," he says. Since the last five months, Gupta has been sending detailed drafts to Goswami about the going-ons in his company. This is usually followed by a face-to-face or telephonic mentoring session, once every week. He has slowly started focusing his energy on getting the clients he wants, being selective, and networking in that field. Though he has seen changes already, he plans to continue with the mentorship in the long term. Does getting advice through a letter lack the impact of a personal meeting? According to Singh, the former method is preferable for some people. “Being heard without any prejudice is a need that is fulfilled by letter writing. Many companies encourage anonymous postcard boxes to work on these issues. At the same time, this is not widely available. A letter not only keeps it anonymous; it also brings a personal touch," she says. But there are always challenges in every field and a mentor’s work is not easy. Changing someone’s mindset takes time. More so when someone with a family business wants to expand its reach but is not ready to change the way it is run. “My job is to make them realize that it is a life cycle of a business. I tell them that okay, I have done these mistakes so you can learn from them. I stop them from repeating the same mistakes because I know what happens," Goswami says. Singh says her job is to answer a question, slice it objectively and see where the problem lies. The completion has to be done by the persons themselves.